Ever been blessed by an elephant? Enjoy wedding celebrations with a difference at Askari Lodge in Magaliesberg. 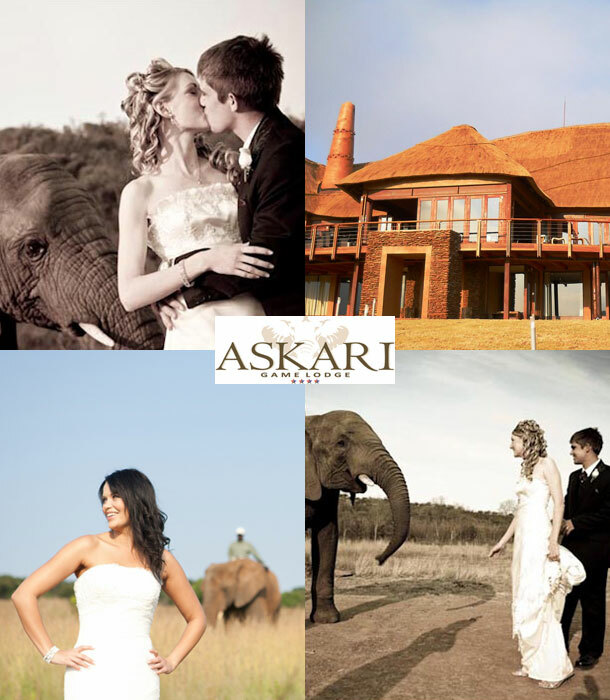 Just over an hour from Johannesburg or Pretoria, Askari Lodge offers wedding parties a memorable Big 5 wildlife experience where Africa meets Antique Dutch, in an area steeped with history. All wedding reception venues are within a short stroll from the 120-seater chapel. The Lapa, overlooking the Elephant Dam, accommodates small groups of up to 40. Set on pure river sand under a giant thatch roof structure, the Lapa with its central roaring fireplace, affords astonishing night sky views as well as a view over the Plumari Private Game Reserve. Akira Wedding venue is situated in the new Day Visitors Centre. Accommodating up to 120 guests, it has a beautiful deck with views over the Magaliesberg mountain range and is abundant with African symbology, rich earthy colours and unique African décor focal points. The upstairs wedding venue opens up onto the Azima Restaurant, viewing deck and Enzi Bar, ideal for pre-wedding drinks or entertainment. 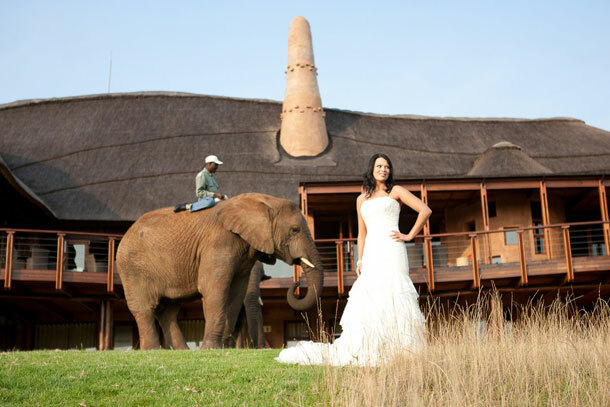 For more information contact the lodge directly on +27 (0)14 577-2658 / 9 and they will help you plan your special day or visit Askari Game Lodge for further information and to send an enquiry.